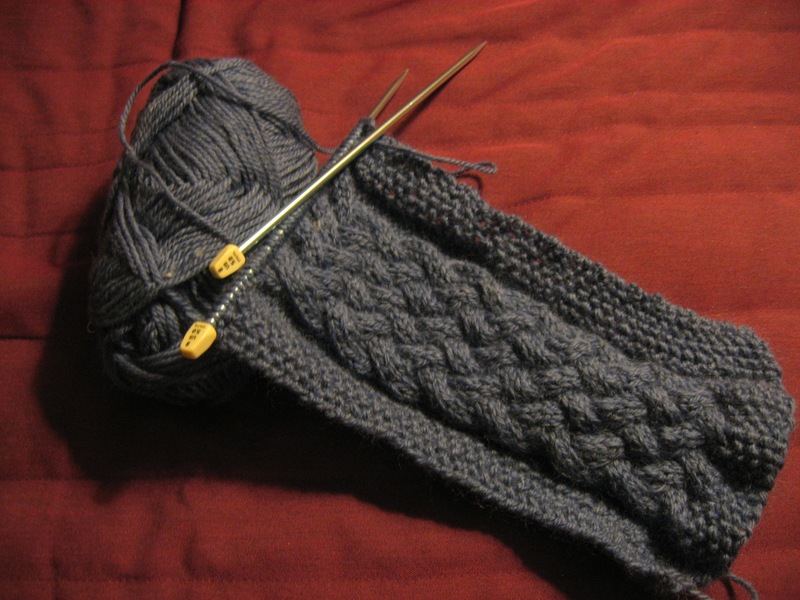 I relearned how to knit cables over winter break and brought a pair of size 8 needles back to California with me. When one of my fellow grad students hosted an art party last weekend (think stamp making, drawing, and calligraphy, both Western and Chinese), I decided my craft project would be a cable scarf. I picked out some blue wool yarn at Michael’s and started knitting. The scarf so far. It has a seed stitch border and a four-strand plait on a purl background. That same weekend, I saw this piece on the health benefits of knitting! Hopefully I’m de-stressing or something. There are actually several knitters (that I know of) in my department, and my advisor told me the MIT department used to have a knitting evening. Maybe they still do. I am bespectacled! First pair of glasses ever.